Here's a really simple and cheap recipe for you to serve on a summers day with salad or turn it into comfort food with a nice pile of mash and veg! This recipe was given to me by a good friend, I've adapted it a little by adding in some stuffing, I used sage and onion because my lot are a bit traditional but you can go wild with the flavours and create many different variations. 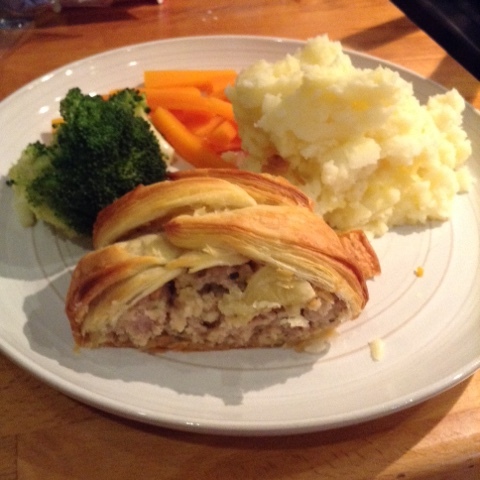 Fundamentally, it's a big sausage roll but it's a great family meal and storecupboard (well fridge/freezer) favourite. 1. Make up stuffing according to packet instructions. 2. In a bowl combine the made up stuffing, sausage meat and onion and give it a good squish together to mix the stuffing through the meat. 3. 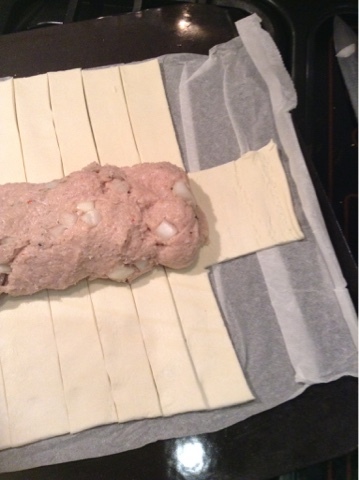 Prepare the pastry buy laying/rolling out place the sausage meat in the middle and make slices along each edge, remove the corners. 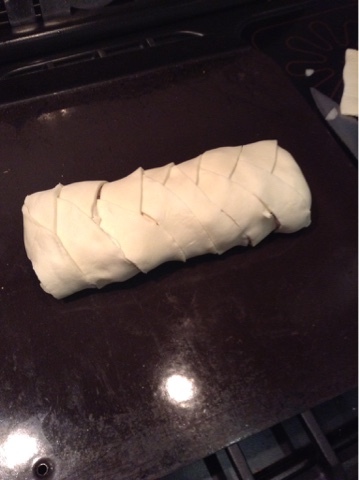 Fold the top flap down and then alternately 'plait' the pastry. I hope you can see from the pictures better than I'm explaining! 4. Brush with beaten egg. 5. Bake at 140oC for about 25 mins. This went down a treat with my family, I hope it does with yours too! It's lovely and simple but looks great the way it's been plaited. This looks absolutely savory! Have you ever tried stuffing it with anything else? 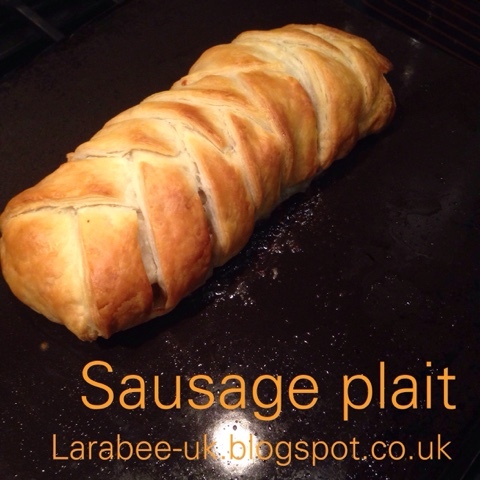 Thank you for linking up with #foodpornthursdays.